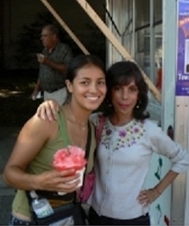 Marie Regis M.S., L.Ac., has an acupuncture practice n Great Neck NY. She specializes in treating anxiety and stress related conditions. She has been practicing meditation for over 30 years. She is currently undergoing training in The Huntington Method: A Clinical Meditation and Imagery course with Richard and Bonnie Schaub of the Huntington and Meditation Center. Dates: Wednesdays March 16th, 23rd and 30th. Fee: $75 total for all 3 classes, payable on the first day of class ($25 per class). Hi Laura. Looks like a very worthwhile set of classes to attend. Laura, enjoy the upcoming classes. I am sure that the topics will be very informative for all attendees. Thanks for sharing the information on Marie Regis.